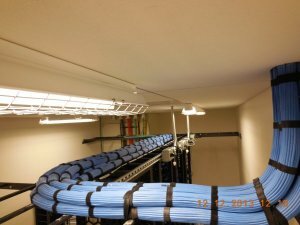 DC, MD, VA Structured Cabling, Data, Voice, Fiber, Design, GSA - B.I.G. 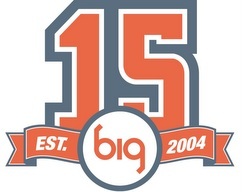 Serving the region for over 15 years, the B.I.G. team, led by CEO Pat Barron, has been a single-source provider for Structured Cabling Systems for both inside plant, outside plant voice and data cabling systems, Wireless, LAN, WAN, GPON and AV installation and support. Our BICSI trained-and-certified technicians and engineers design, install and test your cabling and wireless infrastructure from the ground up. Our trained technicians have a reputation in the industry for unparalleled quality and craftsmanship. Their years of supporting customers in the field show in their attention to detail, right down to the meticulous labeling our clients depend on. Our people are proud of their trademark commitment to the customer. Quality installations provide a foundation for technology upgrades and expansions. Quality is essential for supporting advanced applications such as IP Voice and Unified Communications. We test and certify the end-to-end operational condition of all cables, wiring, terminals and connections. Your installed system will meet or exceed all local, state, and national codes, as well as trade performance requirements in effect at the time of installation. A quality installation is just the beginning… Change is a constant on any project and one of B.I.G.’s greatest attributes is the ability to adapt and re-design on the fly, while keeping the project schedule on track. Once the job is complete, test reports and a bill of materials are submitted to the manufacturers and warranty certifications are provided directly to you. B.I.G. strives to create a team atmosphere throughout the life of the project. B.I.G. has considerable experience working on construction sites and will work harmoniously with all other trades to maintain the project schedule and focus on your needs. We apply our trademark craftsmanship to large and small-scale projects, for companies using diverse computer and voice systems. Our best practices for installation allow us to deliver world-class turnkey solutions for virtually any installation environment. Our focus on quality is one of the main reasons our customers turn to us again and again.